AxisPointe helps you eliminate waste, defects and construction delays that COST YOU MONEY! Consider these typical examples of where AxisPointe can help you find lost dollars that you may be wasting on every project. production time, failed inspections and change orders from the trades. Structural—A major beam was shown directly in the path of a return air duct, requiring a chase to be considered or a different HVAC system. Waterproofing—The plans specified a bentonite-based sheet waterproofing to be applied over wood sheathing on a deck. Had this product been installed it would have rotted the structure. Roofing—A concrete tile roof was planned but the roof slope was only 3-in-12, necessitating a full waterproof membrane underneath. Had traditional underlayment been used, roof leaks would have been the result. Window Flashing—No details were provided to demonstrate how the windows were to be flashed with the brick and stucco, which need different considerations. Electrical—The plans did not show GFI devices at required locations, and failed to specify 20-amp circuit for dining room receptacles. AxisPointe provides independent, unbiased analysis of your vertical construction. You have contracted with your trade partners to perform the work according to plan and to exceed all required codes. 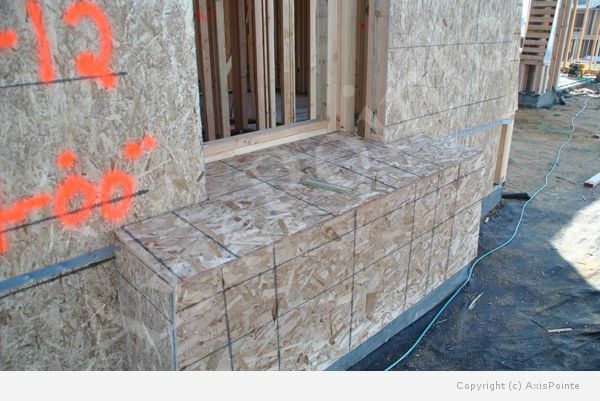 Defects and improper substitutions will never be cheaper to remedy than during construction, while your trades are still on the job! A good internal QA program using our InSite Mobile app will help eliminate these types of common defects before they are buried in the walls, only to be discovered by your customer. 1. 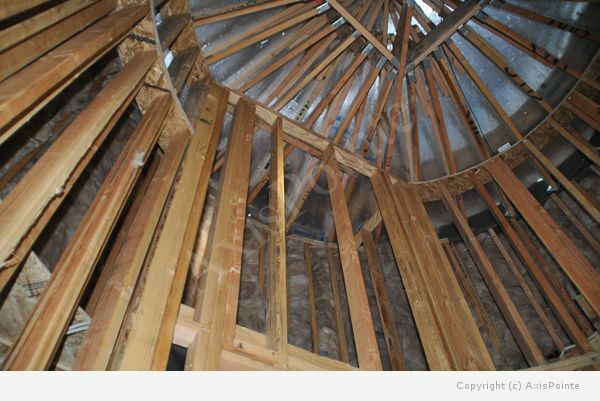 Framing – Arched walls had incomplete fire blocking. 2. 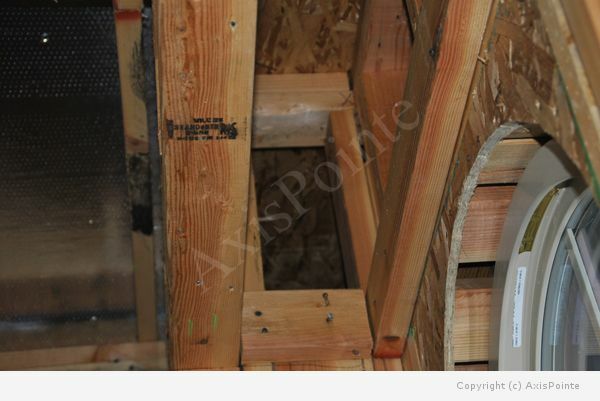 Framing – Large entry cavity walls lacked fire blocking to attic. 3. 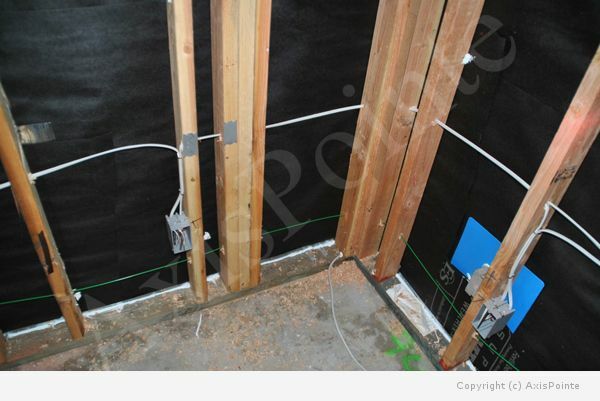 Framing – Potshelf was missing important backing to support flexible membrane at side walls. 4. 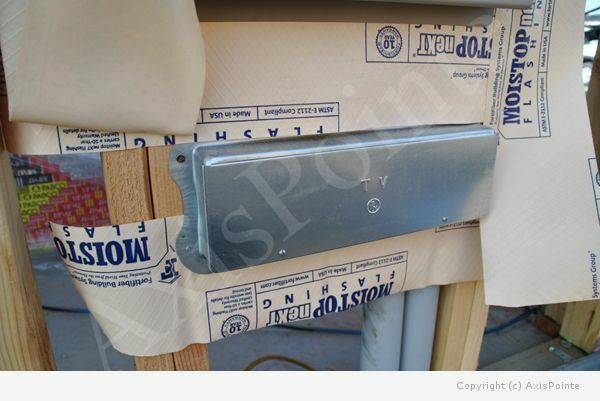 Exteriors – CATV box was not sealed to flashing paper which can allow water intrusion. 5. 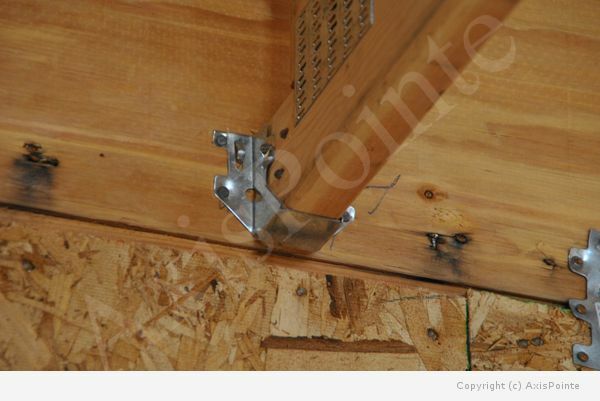 Framing hardware – Roof truss hanger was undersized and not to specification. 6. 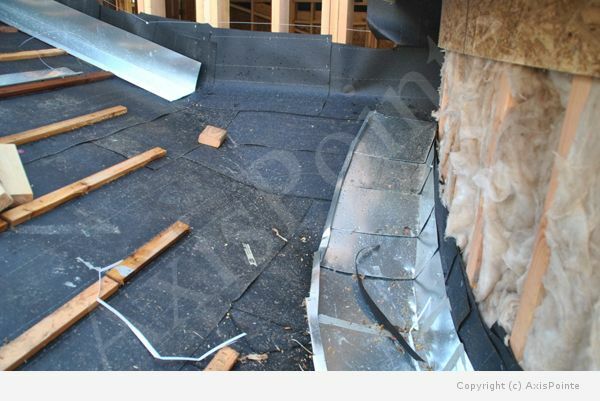 Roofing – Valley underlayment at turret was improperly flashed to allow water to run beneath tile pan flashing. 7. 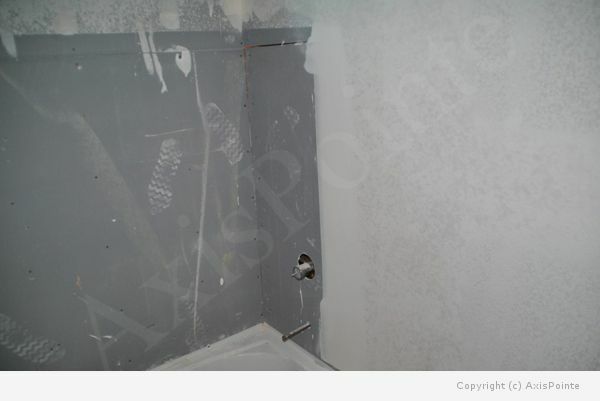 Shower waterproofing – Shower composite board was not sealed at edges and had joint compound covering sheathing which can cause delamination of tile. 8. Electrical – Wiring not protected with nail plates. 9. 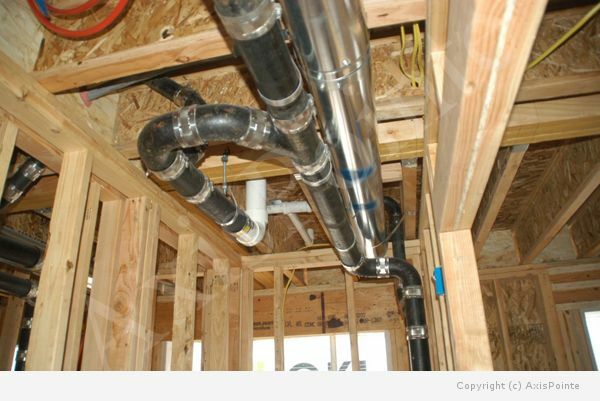 Plumbing – Excessive bends with no cleanout. 10. 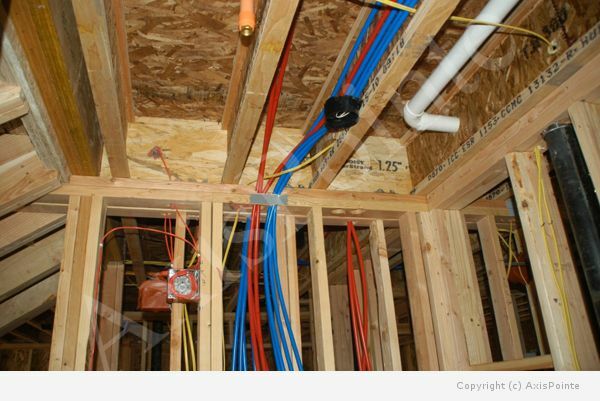 Plumbing – PEX hot and cold lines not adequately separated. The total value of these defects do not include resultant damage due to leakage, mold cleanup or homeowner move-out. They don’t include your costs to repair these defects if your trade contractor is out of business or refuses to repair these after construction. No value is added for your customer service overhead, increased or cancelled insurance risk, or defects such as fire blocking which may not be covered under your insurance policy (since there is no resultant damage to trigger coverage). Most important, what value do you place on your reputation? When you transition from third-party QA services to managing and controlling your risk internally, using your own project managers and trade partners, your costs go down even further! Give AxisPointe a try. We guarantee you cannot lose, or your money back!